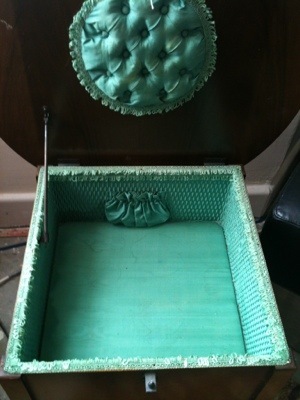 I was at the Frome Artisan Market at the weekend and I picked up this lovely 1930’s sewing table. 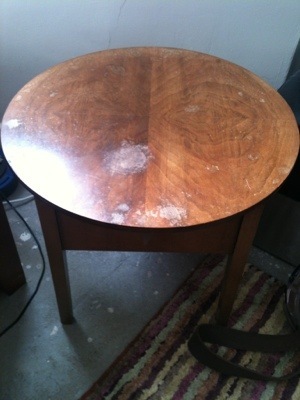 The inside is in immaculate condition, the table top is a bit damaged but my hubby is going to repair it. I will post some more pics of it when he has. This entry was posted in Sewing projects and tagged antique, artisan, Seeing, vintage by Trixie Lixie. Bookmark the permalink. yes please! love to restored photos. where will it go/live once it’s restored? 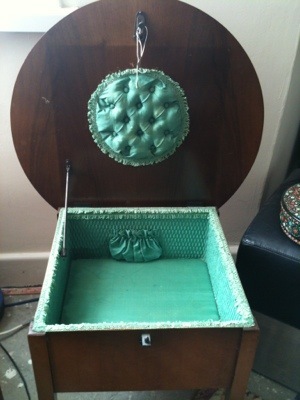 I will try & squeeze it into my sewing room, I will post a pic of it when it is done!